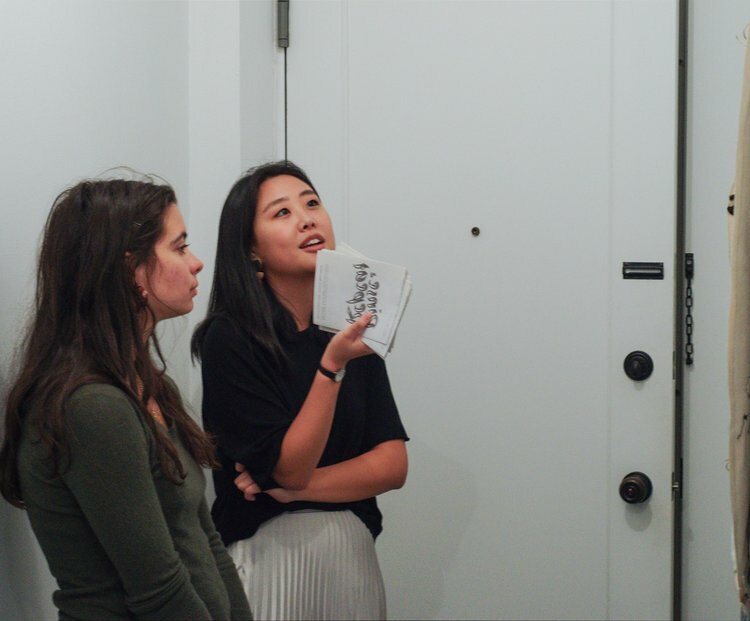 Claire Kim graduated from Fordham in 2016 with a major in English and a minor in Art History, and has been building a successful career in the arts ever since. By day, she is the Special Assistant to the President of BRIC, the Brooklyn arts powerhouse that fosters the creativity of Brooklyn arts and media. Outside of BRIC, Claire is hard at work on her independent curatorial practice, creating exhibitions in unexpected and thought-provoking spaces, and focusing on creating an access point into various art forms for a wider audience. Claire and I met at the SPRING/BREAK Art Show during Armory Arts Week, where we discussed her experiences in the arts and her curatorial practice as we strolled through the endless booths featuring the incredible work of contemporary artists. Claire discovered her love for the arts while in college in New York City. From there, she joined a number of professional programs to explore the art field. She interned for the Asian American Arts Alliance and the Solomon R. Guggenheim Museum, where she focused on public programming, education, and adult programs. 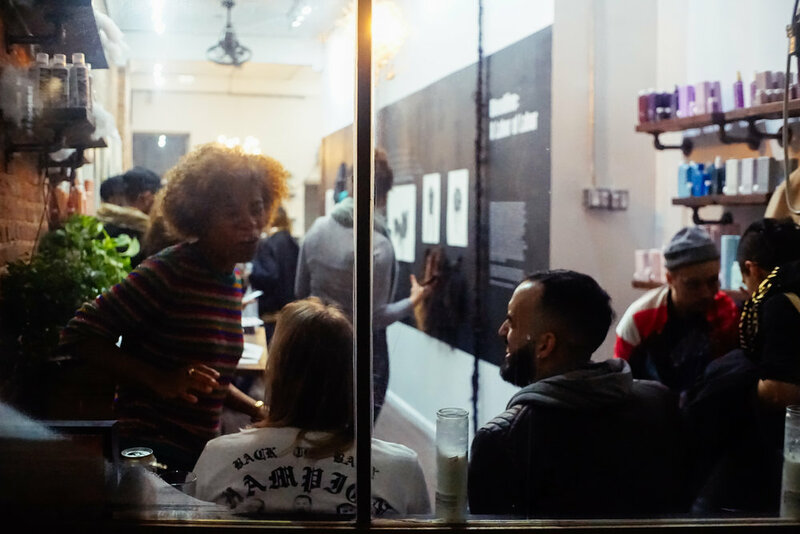 Soon after, she began her participation in the Downtown Brooklyn Arts Management Fellowship at BRIC, where she took on more responsibilities, and started focusing on curation. Her prior experiences fostered an interest in creating a more organic and authentic unity between education and curatorial practices in contemporary art. The programs that Claire took part in specifically emphasized diversity and inclusivity, and focused on the accessibility of art, something which now drives her own curatorial practice. She hopes to make art more accessible and enjoyable for people of different backgrounds: involving people of diverse ethnicities, and “thinking about people from different socio-economic class, differing abilities, and age.” Claire achieves this by breaking out of more traditional exhibition spaces, and by incorporating a larger variety of artforms into her exhibitions. For example, she finds that performance art and dance can create a more inviting exhibition experience. She wants to engage the audience beyond the exhibition space as well, incorporating programs and talks that can further the discussions the exhibitions explore. Her 2018 exhibitions serve as successful examples of her goals. 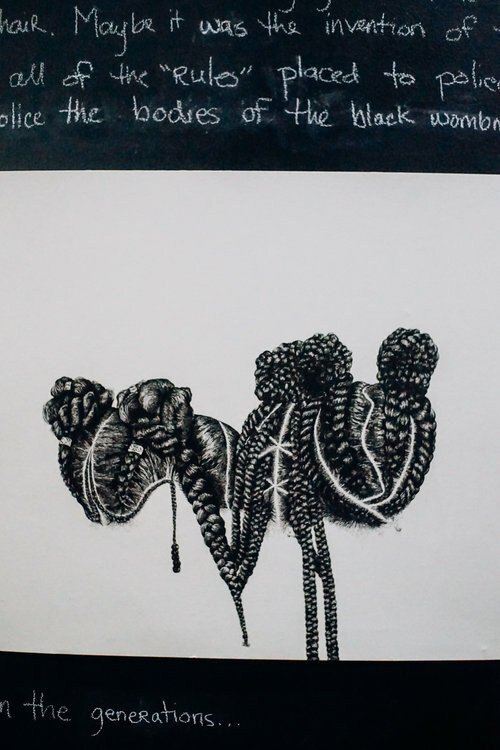 Bloodline: A Labor of Labor displayed the artwork of Jazmine Hayes – mainly her beautiful, detailed drawings of braiding styles – in a Brooklyn hair salon: a space in which you would not expect to find art, but feels wholly appropriate for the subject. Rinse and Repeat dealt with the stigmas around female grooming practices and the female body. Freedom Dreaming: A Call to Imagine, as detailed in an excerpt of a BRIC blog post by Sarah Branch on Claire Kim’s website, incorporated performances by the Truthworker Theatre Company alongside the visual works of contributing artists. Installation view of "Bloodline: A Labor of Labor"
I was curious to learn more about the process of curating exhibitions that are focused on accessibility, and how Claire’s curatorial process unfolds. She explained how some exhibitions are her own conceptions. Once her idea has formed, she reaches out to artists and invites them to participate. For others, she may be interested in working with a specific artist and embark on a collaborative project. She has used Kickstarter to help raise funds for her exhibitions. Claire is driven by her passion to curate art for the people, and has the support of the people. She also has the support of her mentors, specifically Betsy Smulyan, Executive Vice President of Bric— whom she met through the Downtown Brooklyn Arts Management Fellowship—and all the inspirational women with whom she has worked. Claire can certainly serve as an inspiration for others in forging her path in the art world, and in encouraging change for the better. Claire’s next exhibition, Living Between Room, co-curated with Jamie Martinez, opens on May 10, 2019 at The Border Project Space, located at 56 Bogart Street in Brooklyn. The exhibition will feature the work of artists Danni Lin and Amia Yokoyama. I am looking forward to seeing Claire’s curatorial work in action, and encourage our readers to attend as well. Photos courtesy of Max Hernandez and Claire Kim. “About BRIC.” BRIC. Accessed April 2, 2019. https://www.bricartsmedia.org/about-BRIC. Branch, Sarah. “Freedom Dreaming: A Call to Imagine.” BRIC Blog. Last modified June 8, 2018. https://www.bricartsmedia.org/blog/freedom-dreaming-call-imagine. Hayes, Jazmine. “Jazmine Hayes.” Jazmine Hayes Art. Accessed April 5, 2019. http://www.jazminehayesart.com/. Kim, Claire and Jamie Martinez. “Living Between Room.” Claire Kim. Accessed April 2, 2019. https://www.clairekim.net/living-between-room. Kim, Claire. “Bloodline: A Labor of Labor.” Claire Kim. Accessed April 2, 2019. https://www.clairekim.net/bloodline-a-labor-of-labor. Kim, Claire. E-mail message to Julie Hamon. March 13, 2019. Kim, Claire. “Rinse & Repeat.” Claire Kim. Accessed April 2, 2019. https://www.clairekim.net/rinse-repeat. Kim, Claire. (Special Assistant to the President of BRIC, and Curator), in discussion with Julie Hamon. March 8, 2019. Lin, Danni. “Danni Lin.” Danni Lin. Accessed April 5, 2019. https://dannilinart.weebly.com/. Martinez, Jamie. “Jamie Martinez.” Jamie Martinez. Accessed April 5, 2019. http://jamiemartinez.net/. “SPRING/BREAK Art Show.” SPRING/BREAK Art Show. Accessed April 5, 2019. http://www.springbreakartshow.com/. “The Border.” The Border Project Space. Accessed April 5, 2019. http://theborderprojectspace.com/. “Truthworker.” Truthworker Theatre Company. Accessed April 5, 2019. https://truthworker.com/.